Tottenham secured yet another triumph at the weekend with a crucial 3-1 win over Leicester that keeps them in third place in the Premier League. Davinson Sanchez, Christian Eriksen and Heung-min Son all slotted home to ensure all three points for the home side, with a consolation coming from Jamie Vardy. 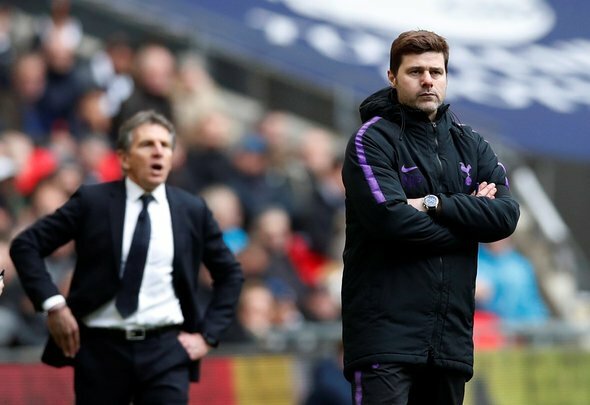 However, boss Mauricio Pochettino will now have to focus his attention on Spurs’ last-16 tie with Borussia Dortmund in the Champions League on Wednesday, and there should be two changes he should make despite the convincing victory over the Foxes on Sunday. In goal, Hugo Lloris must start as normal. The first change must come in the defence, who overall were very solid against Leicester, with Sanchez no doubt being the pick of the bunch. However, right-back Kieran Trippier – who is on £40,000-a-week [Spotrac] – seemed to be struggling, and he must be axed in favour of Serge Aurier. Danny Rose was excellent at left-back and demonstrated why he should be first choice for Pochettino, so there is no doubt that he should be on the teamsheet on Wednesday. Oliver Skipp did not have his best game in a Spurs shirt against Leicester, but there is certainly more to come from him, so he must start alongside Harry Winks and Moussa Sissoko, with the latter putting on an incredible display against the Foxes. Christian Eriksen did struggle to make an impact early in the match on Sunday, but he soon came to life after picking out a great cross and getting on the scoresheet himself – so he must retain his spot in the starting XI. Son did not excel on Sunday but he did combine well with Fernando Llorente up front. However, it just was not his day despite getting on the scoresheet, so Pochettino must start Lucas Moura in his place. Llorente has coped admirably well filling in for Harry Kane recently, so he must lead the line on Wednesday. 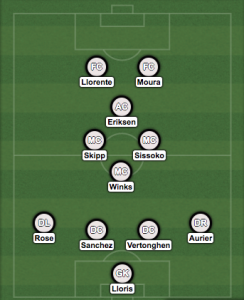 If Pochettino makes the right calls regarding his starting XI, then there is no doubt that Spurs would be able to upset Dortmund in a couple of days’ time.